Canva is a free online tool that allows you to quickly design web graphics, presentations, Facebook covers, posters and more. 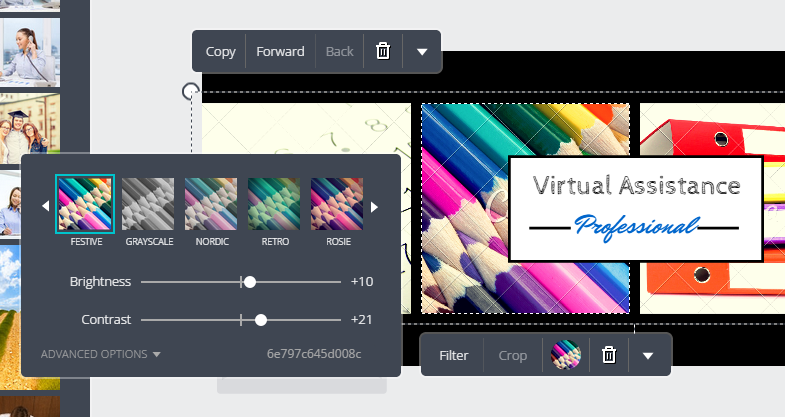 You can search for graphics, photos, and fonts from inside the tool – or upload your own, then use the easy drag and drop tool to create your design. We’ve been trying it out over the last few weeks and it’s super quick to make picture quotations for social media and to give all your headers a smart revamp. Here we’ve chosen a Facebook cover and you’ll see that the template already shows you where your profile picture will be placed. You can have a scroll through all the layouts on the left hand side until you see one you’d like to make a start with. 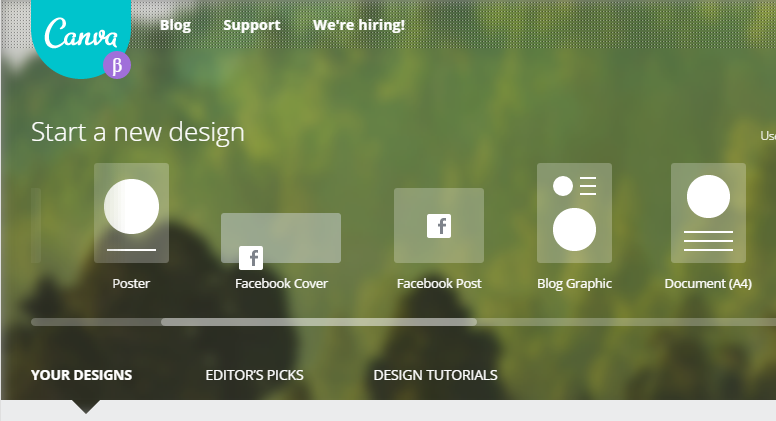 Just click it to add that layout to your design. To edit the text we can just click on it and rewrite as needed. If we click on the word “Market” above then options appear to make changes to the font style (there are 100s of Google fonts available) size and colour just with a click. To change the pink to blue just click on the pink circle and choose another preset colour, or enter a hex code if you have it. You can search for alternative images in the search bar and stock photographs will be shown to you matching your search. Some of them are free, some cost $1. 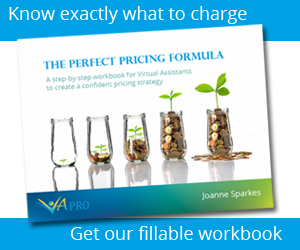 If you use a chargeable graphic then that amount will be payable each time you publish it. However, you can upload your own images quite easily, There’s then no charge for publishing your image. You can also link directly to any photos that you have in your Facebook account. To put the new picture in your design you just click and drag it over to the current placeholder and it will automatically resize to fit. 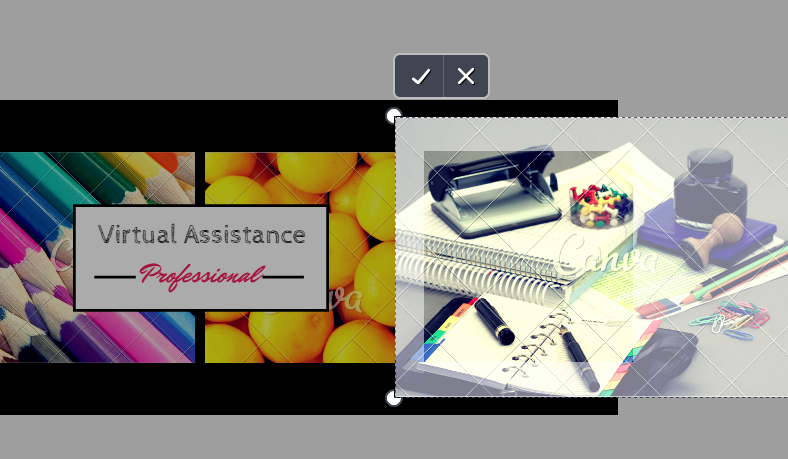 Once in position you can double click on the picture to show editing handles that enable you to change the section of the picture on display or resize it as required. You can also edit your photos using preset filters or with photo editing tools like brightness, contrast, saturation, tint and blur. Just click on any picture to bring up the menu to allow you to make quick changes. When you’re ready you can click “Download or Link” to publish your document. 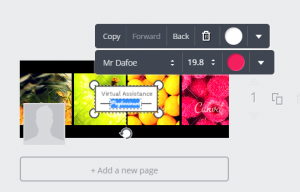 This allows you to save your image or convert it to a pdf (e.g. if you are doing a poster or document cover) and save it your computer. 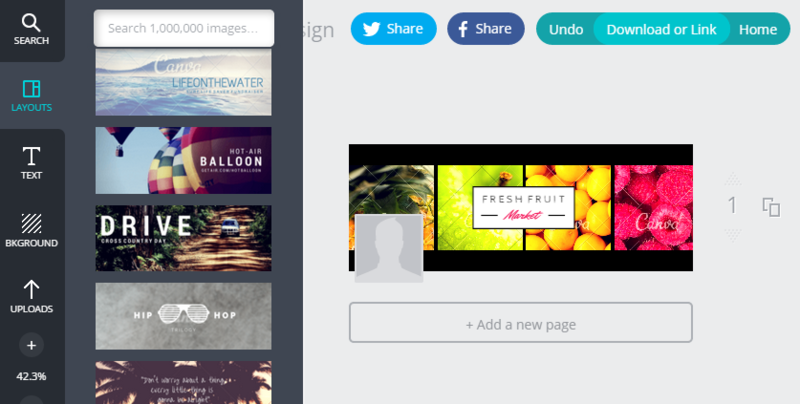 Canva also makes it easy to work with others, letting you share and edit your designs with clients or friends without having to pass things back and forth on email. There’s lots of layouts for inspiration if you need to create e-book or document covers and I think this really helps to get some creative ideas going rather than looking at a blank page on your desktop software. I think this is a great tool for creating website and social media images quickly and no doubt you’ll be seeing a lot more of them on the VA Pro Facebook feed! Have you had a go yet?